Here are some of the best photos made by Tribune photographers throughout October. To keep up with our photographers, follow The Salt Lake Tribune on Instagram. An electric scooter rider braves the rain in downtown Salt Lake City on Oct. 2. 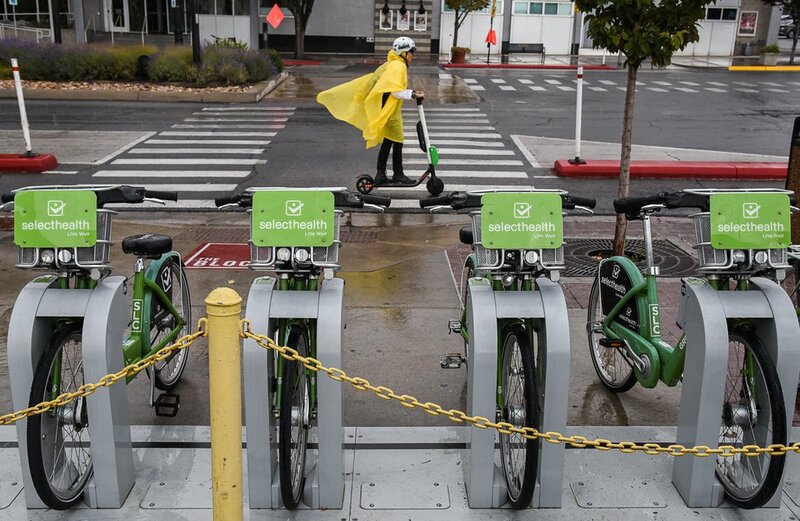 GreenBike was set to have its best year yet, but then Lime and Bird scooters derailed the momentum. 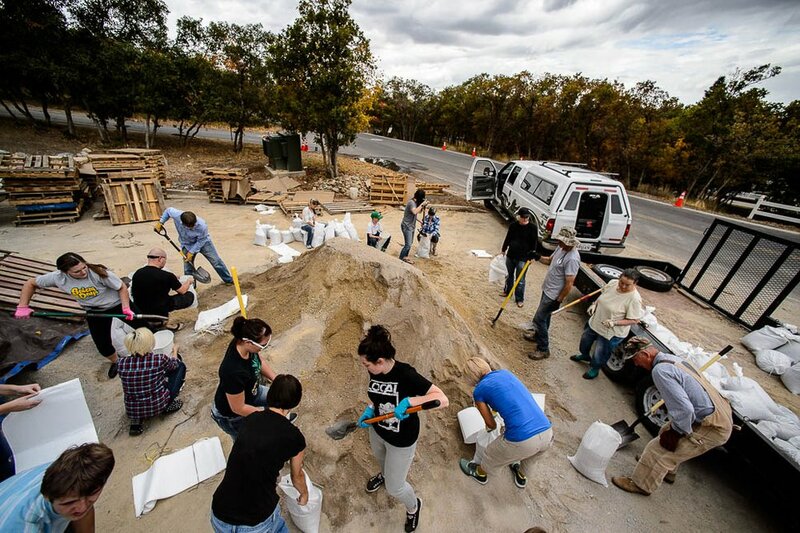 Woodland Hills residents fill sandbags before expected rain on Oct. 2. 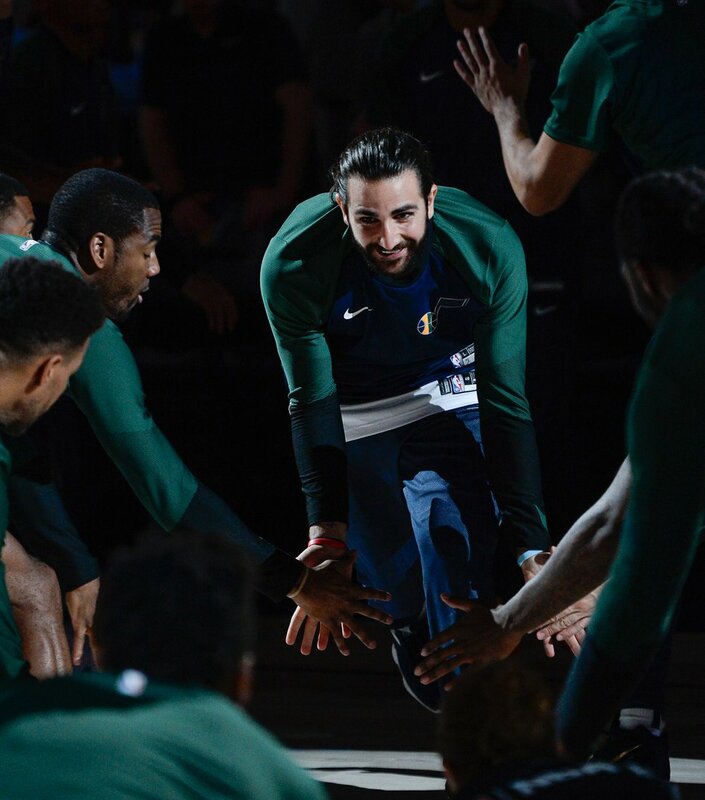 Utah Jazz guard Ricky Rubio is introduced before the preseason game against the Toronto Raptors at Vivint Smart Home Arena in Salt Lake City on Oct. 2. The Jazz beat the Raptors 105-90. 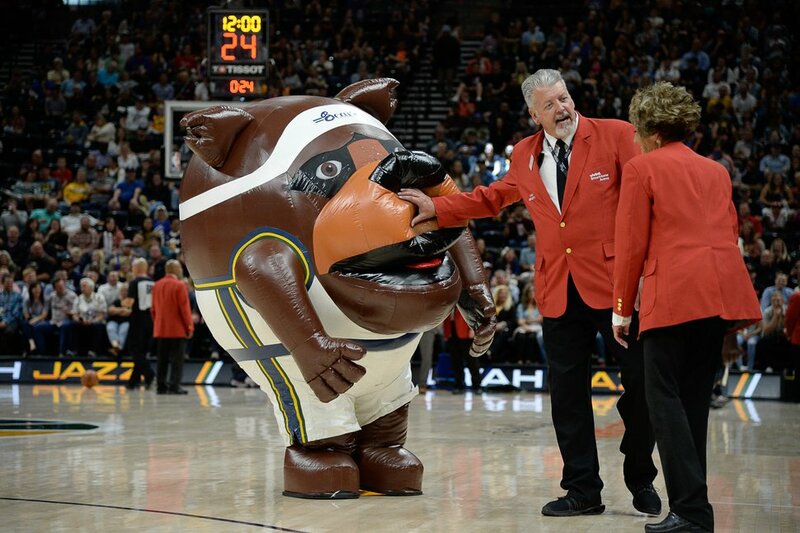 Inflatable bears have a little fun on the court during a timeout in the first half of the preseason NBA game between the Utah Jazz and Toronto Raptors at Vivint Smart Home Arena on Oct. 2 in Salt Lake City. 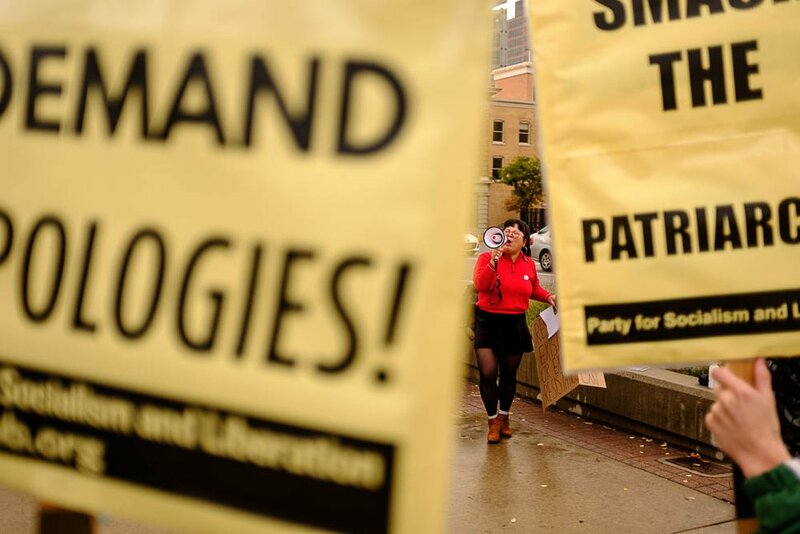 Sara Kang speaks at a protest against the U.S. Supreme Court nomination of Brett Kavanaugh in front of the Wallace F. Bennett Federal Building in Salt Lake City on Oct. 4. Utah State Aggies celebrate the win after defeating BYU, 45-20, at Lavell Edwards Stadium in Provo on Oct. 5. 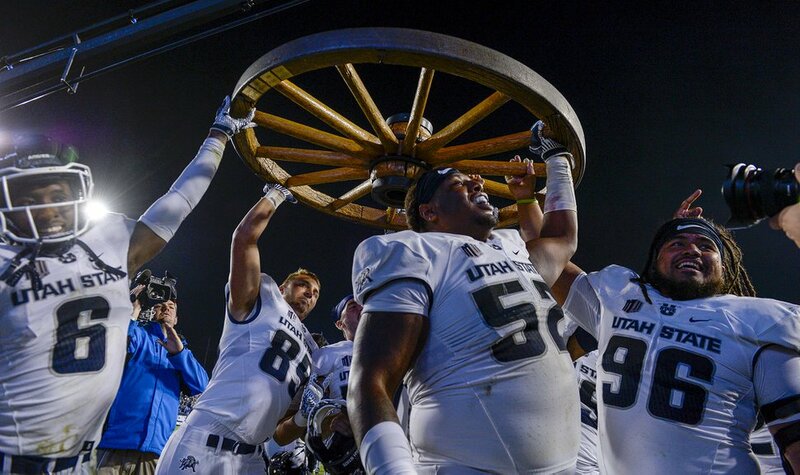 They are hoisting the Old Wagon Wheel, the trophy that goes to the winner of the schools’ rivalry game. 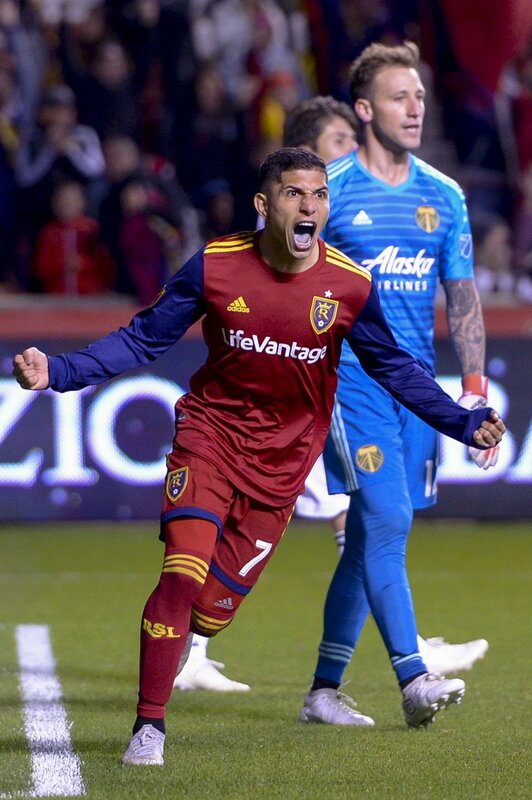 Real Salt Lake forward Jefferson Savarino reacts to his second-half goal. Portland Timbers defeated Real Salt Lake 4-1 at Rio Tinto Stadium in Sandy on Oct. 6. 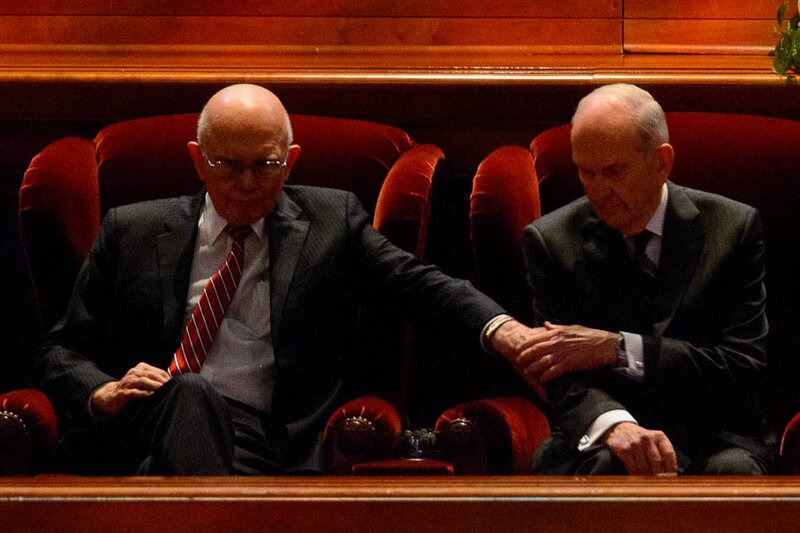 President Russell M. Nelson, right, gets a sign of support from his counselor Dallin H. Oaks before the start of the General Conference of The Church of Jesus Christ of Latter-day Saints in Salt Lake City on Oct. 6. 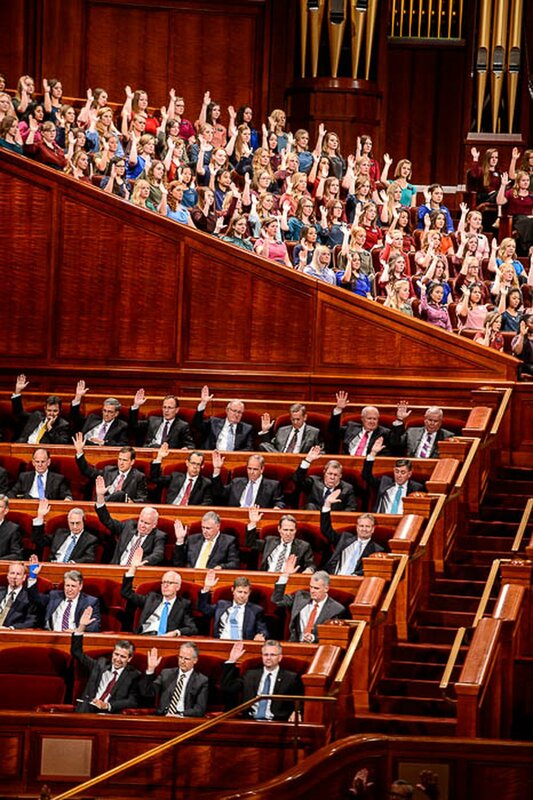 Church leaders and a choir show their support for the leadership of the church at the General Conference of The Church of Jesus Christ of Latter-day Saints in Salt Lake City on Oct. 6. 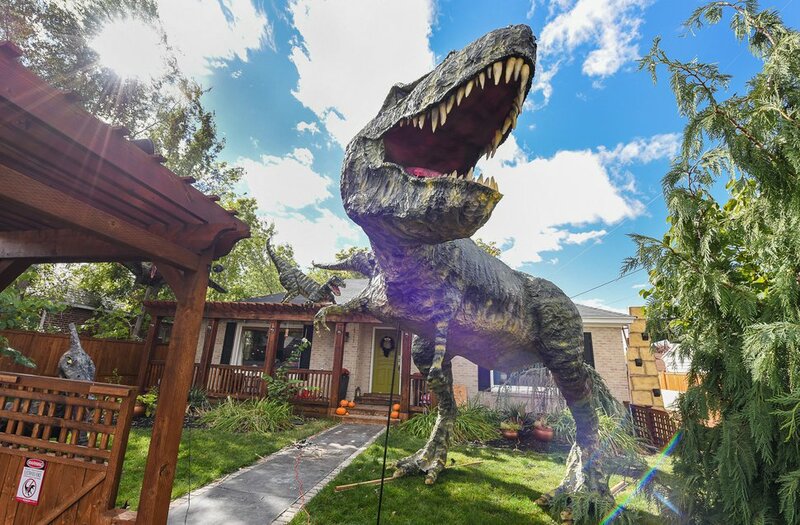 Ammon Smith outdid himself once again by constructing a “maturing adult”-size T. rex, along with a pair of velociraptors and pterodactyls, on the front lawn of his Salt Lake City home. The part-time stay-at-home dad, who made a giant King Kong last year, started construction back in August. He assembled recycled wood, chicken wire, foam, aluminum foil and spray paint for the 12-by-32-foot Jurassic centerpiece, pictured here on Oct. 8. 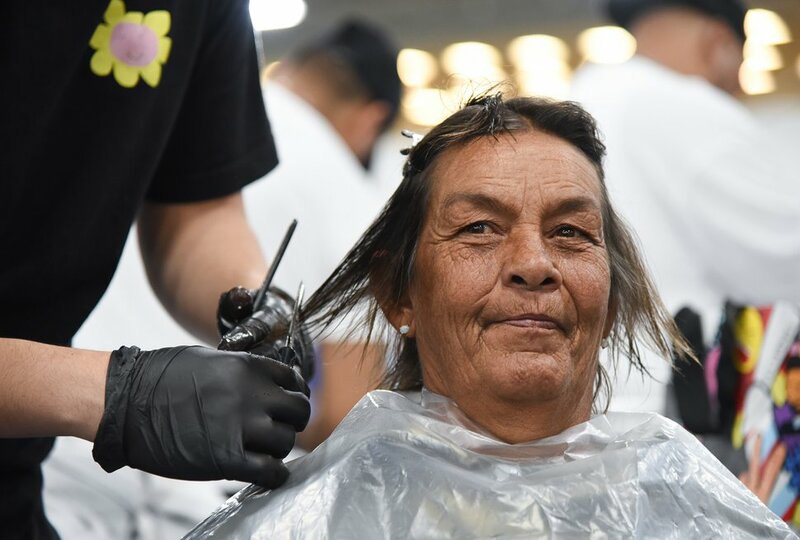 Ina Mitchell gets a free haircut from volunteer Santiago Diaz during Salt Lake City’s Project Homeless Connect at the Salt Palace Convention Center on Oct. 12. The event brings together community volunteers to provide services for individuals and families in need or experiencing homelessness. More than 800 community volunteers and 90 service providers connect those in need with more than 200 services. Cooper Baskett, 3, assumes the role of Jack-Jack from the movie “The Incredibles,” as a small army of volunteers and staff at Shriners Hospital for Children in Salt Lake put the finishing touches on his Incredimobile and the costumes of another 27 patients in wheelchairs for Halloween on Oct. 17.
Cooper, who has skeletal dysplasia, relished the attention, frequently flashing some of his character’s signature moves. “This is something he gets to have all his own,” said his mother, Tonya Baskett. 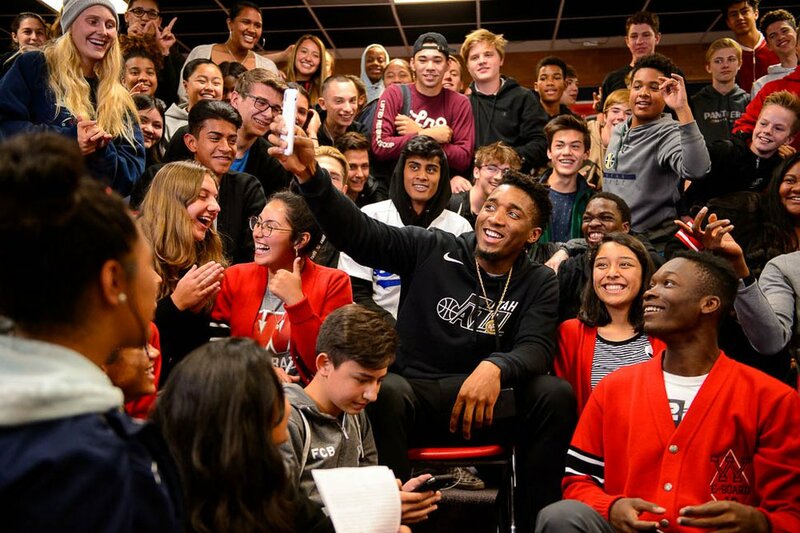 Donovan Mitchell takes a selfie with West High School students after speaking to them in Salt Lake City on Oct. 9. Shoeless kids jump on a giant jump pad during the 2018 Fall Festival at Cross E Ranch in Salt Lake City on Oct. 18. 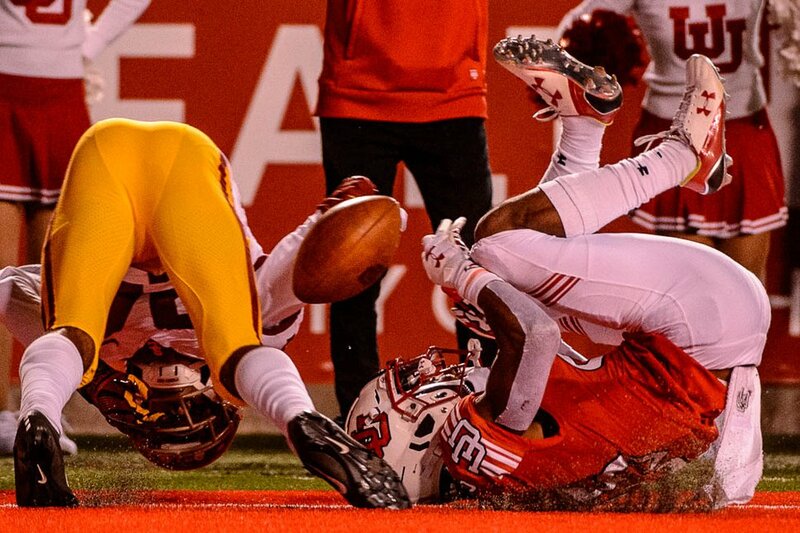 Utah Utes wide receiver Jaylen Dixon (25) is defended by USC Trojans cornerback Isaiah Langley (24), as the Utes host the USC Trojans at Rice-Eccles Stadium in Salt Lake City on Oct. 20. 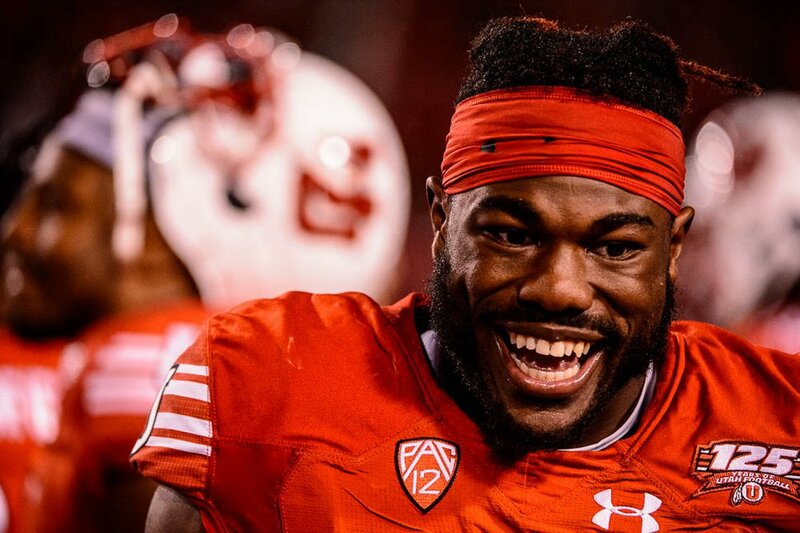 Utah Utes running back Zack Moss smiles on the sideline with a double-digit lead, as the Utes host the USC Trojans at Rice-Eccles Stadium in Salt Lake City on Oct. 20. 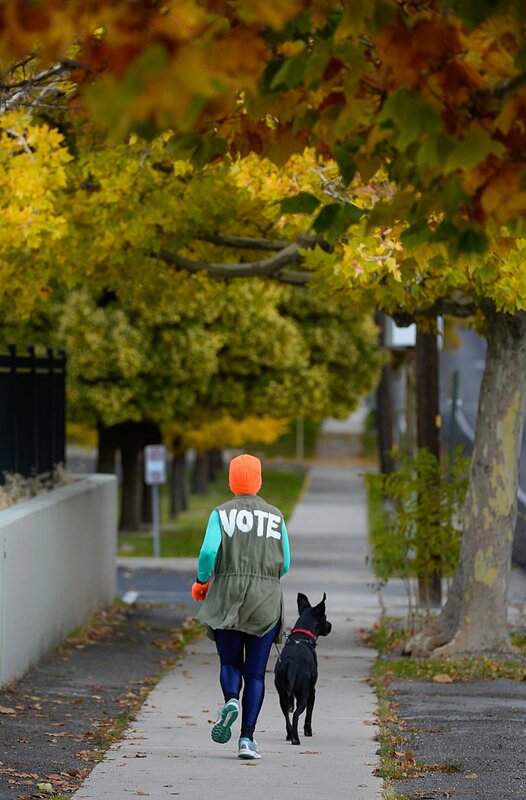 Elizabeth Ballantyne encourages people to get out and vote while she runs with her dog, Jack, in Sugar House on Oct. 23. 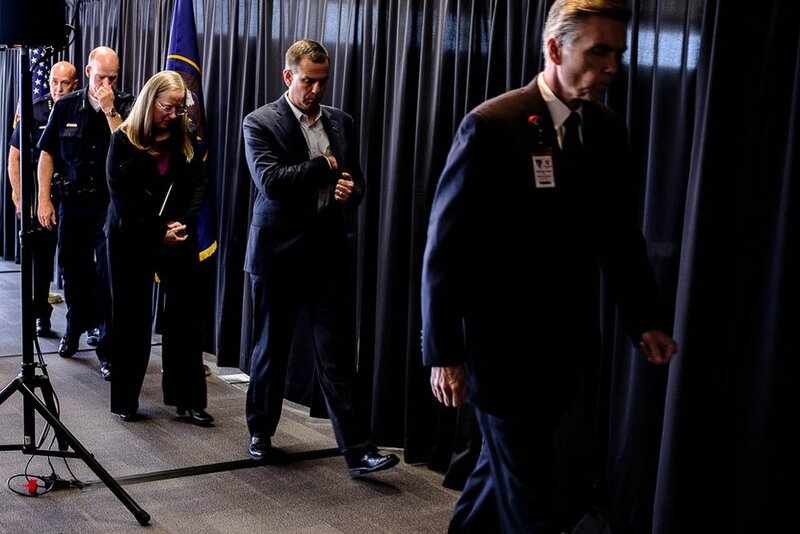 Officials walk off after a news conference at Rice-Eccles Stadium about the slaying of University of Utah student athlete Lauren McCluskey on Oct. 23. Left to right are Salt Lake City Police Chief Mike Brown, University of Utah Police Chief Dale Brophy, Dean of Students Lori McDonald, Athletic Director Mark Harlan and Senior VP for Health Sciences Michael Good. 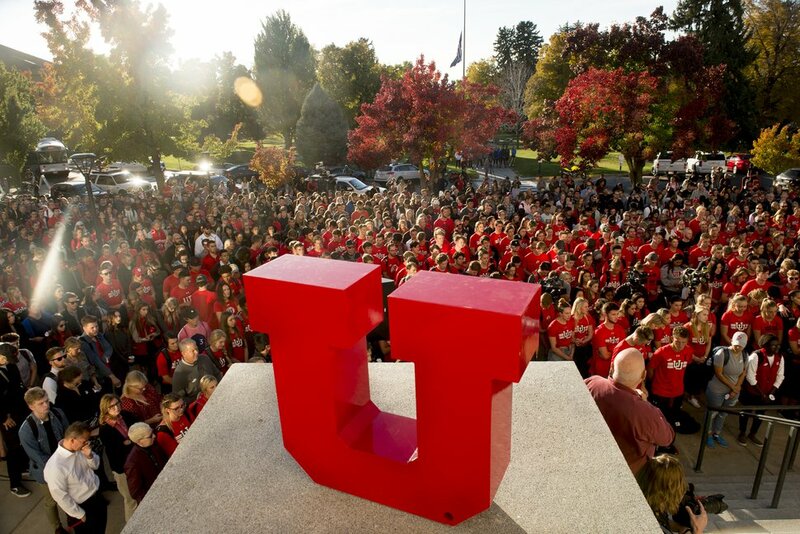 Hundreds of students gather at the University of Utah during a vigil for Lauren McCluskey on Oct 24. 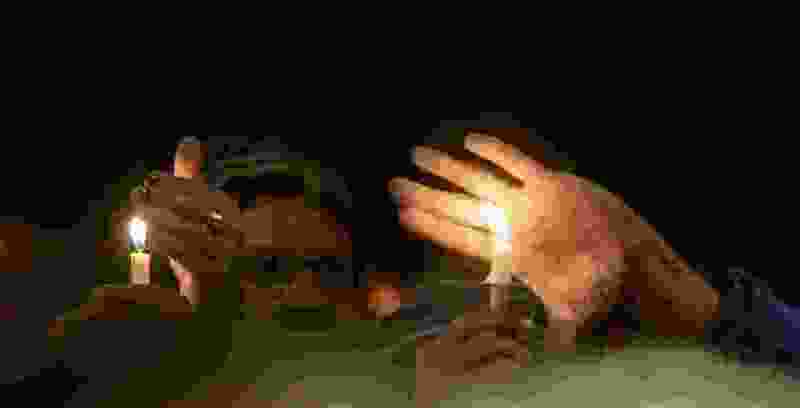 McCluskey was killed on campus on Monday, Oct. 22. 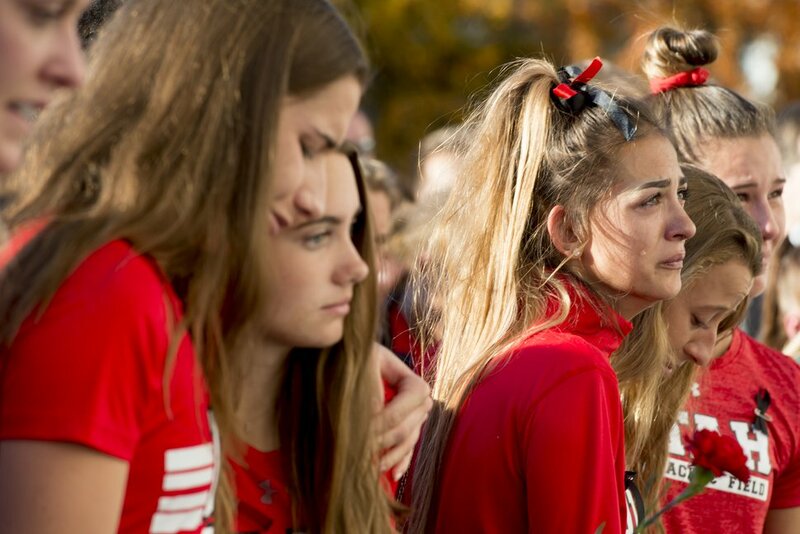 Members of the University of Utah track team hold each other during a vigil for teammate Lauren McCluskey on Oct 24. 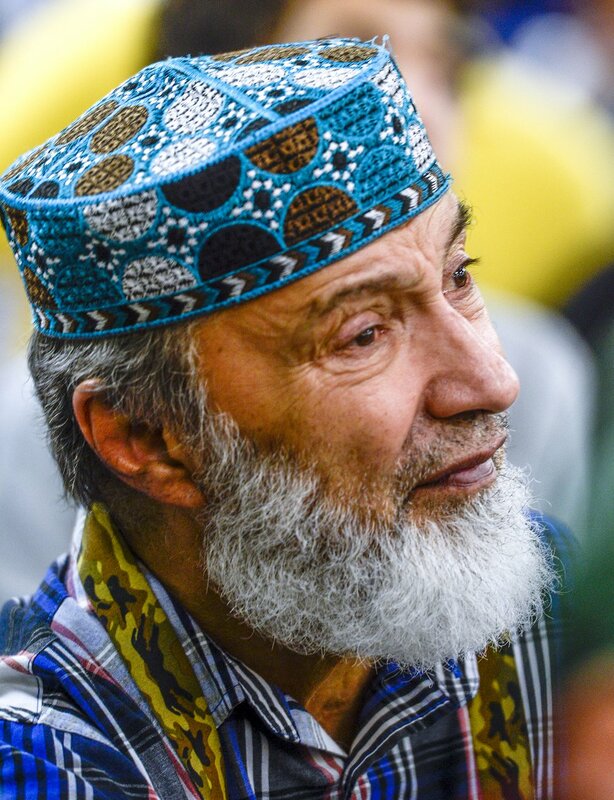 Utah Islamic Center member Ashraf Dhedhy listens as U.S. Senate candidate Mitt Romney addresses the congregation on Oct. 26 before Friday special prayers.